Hair Club Columbus is located in a 4-story grey all glass building with the numbers "1103" displayed at the top. We are on the corner of Schrock Road and Doubletree Road directly across the street from the Budweiser Brewery. Hair Club is located on the 3rd floor in Suite 302. Turn left off of the elevator and left down the hallway and we are the first suite on the left hand side. PUBLIC TRANSPORTATION: COTA BUSES DO NOT HAVE A ROUTE THAT RUNS CLOSE TO THE CENTER. Web: www.Cota.com, COTA Bus Phone #: 614-228-1776. Continue approximately 3 miles and the building will be on the left hand side across from the Budweiser Brewery. I have been going to the Columbus Hair Club for about 5 years now, and throughout this time, the staff here has worked their hardest to give me the results I want. Because it always looks nice, my self-confidence has risen. The staff there is very friendly, and I'm satisfied with what I get every time I go. I am very pleased with the whole staff and extremely pleased with Magic Rita and the results I have gotten. Everyone there is great. It has been a great experience for me. I have been a client at the Columbus, Ohio Center since 2009, although I have been a member since 2002. From the person who greets me at the front desk, to the outstanding stylist I am honored to work with, everyone is friendly, helpful and extremely professional. My stylist, Andrea understands people like me and working with her is the perfect example of real collaboration. I am sure there are other centers and systems, but I cannot imagine not being a member of Hair Club. I have been a member for nearly 20 years. I am very please with the product and especially the services I have received from the Columbus, Ohio HCM staff. They're like family. I have never wanted to appear much younger than I am, just my age WITH HAIR. Yet, at nearly 68, I am still please to get comments that I "look good for my age". My Stylist RITA is WONDERFUL - one of the best I've had in the 20 plus years I've been with them. Only thing I'd like to see is better adhesives. I am very,very physically active and wash my hair everyday. Adhesives give up a week before my scheduled visits. I've had it fall off my head before which should never happen. Great Staff, Professional and excellent service! The entire staff is very friendly and Andrea does an amazing job! !! She really listens to my concerns and is extremely knowledgeable about the different hair restoration options :) !! I have been with the Columbus location for several years now. Gem is my usual stylist and always go above and beyond the call of duty to make me look my best. I have worked with all the stylists at one time or another if Gem was booked, and they all are very professional, courteous and Amy, the manager has really put the icing on the cake at this location. THANKS! 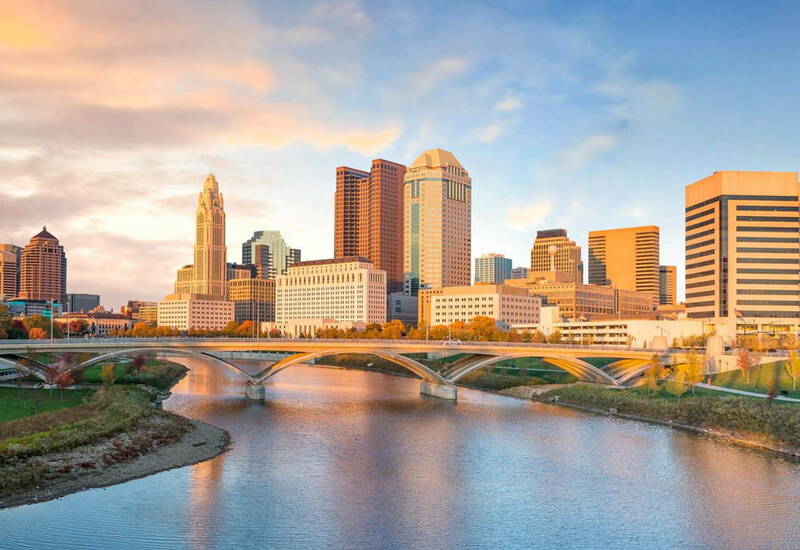 I have been coming to the Columbus branch for over 10 years now and always love the friendly and courteous staff and especially my stylist Andrea! The staff at the Columbus Ohio Center is very knowledgeable and professional. My stylist consistently keeps my hair looking as nice and natural as possible. I have been a very satisfied client at Hair Club for nearly fifteen years. I have been with the hairclub in columbus for over a year now and I enjoy my monthly visits. Everyone there is extremly friendly and easy going. They always go above and beyond. I feel like the hairclub has changed my life for the better. Everyone was very friendly, good to be around, always like to come. - Diana C.